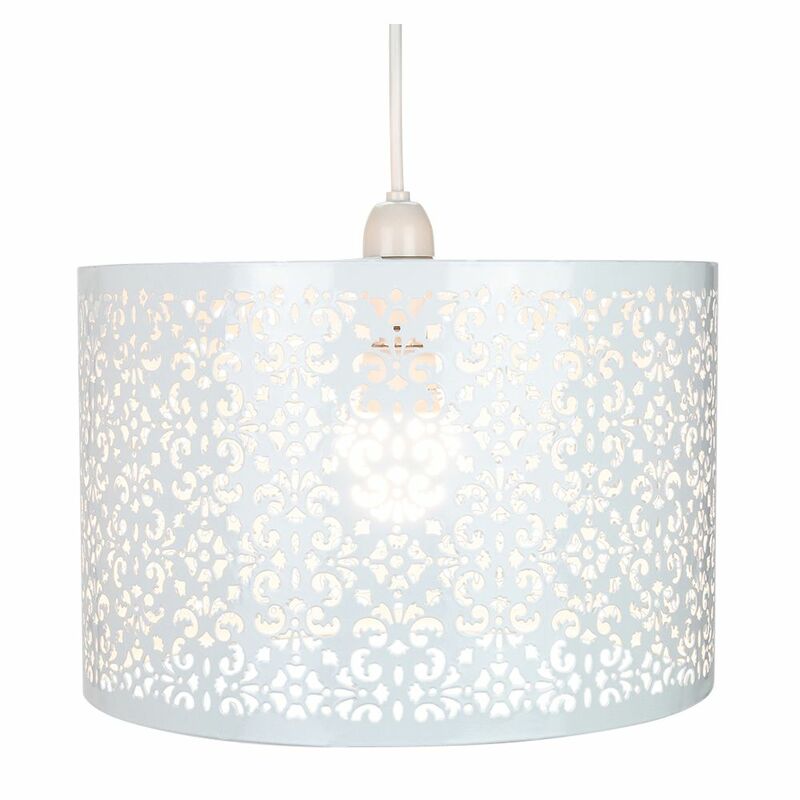 Marrakech style metal non-electrical circular pendant shade with intricate laser-cut decoration. 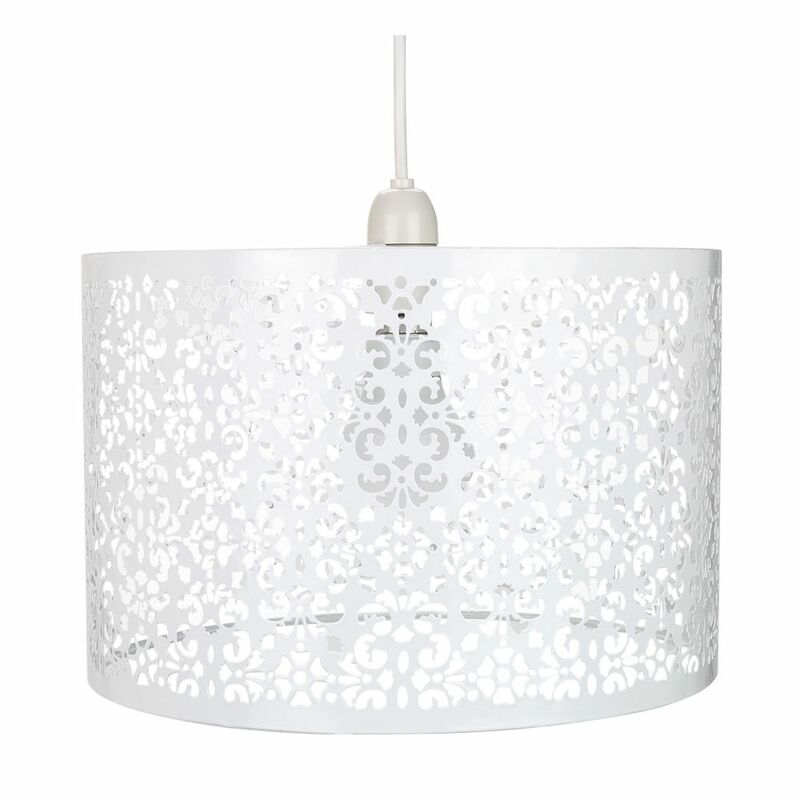 Finished in matt white and available in several other colours. 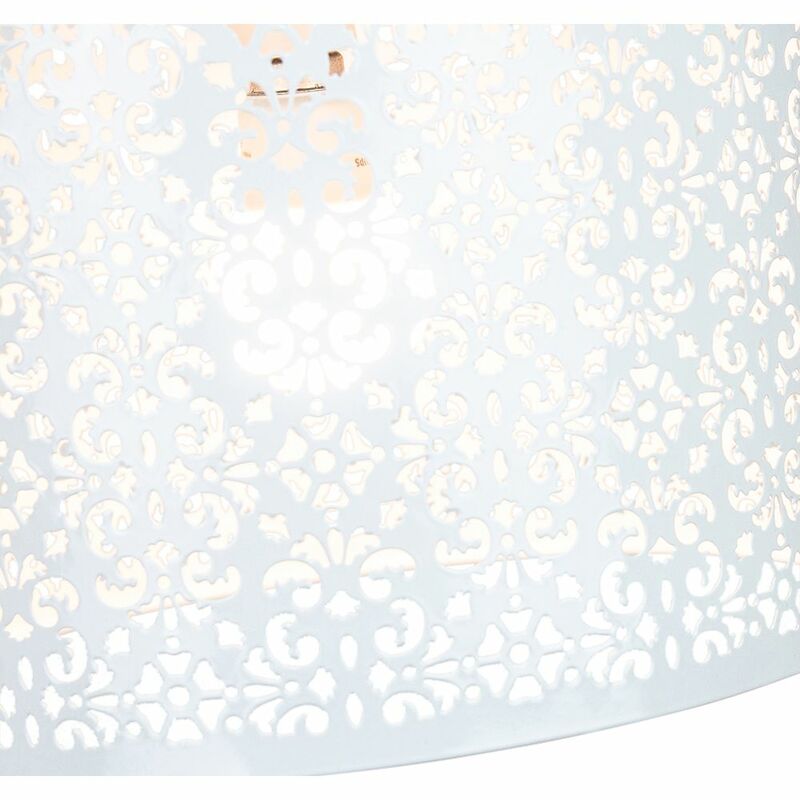 The product dimensions are: Height - 19cm, Depth - 29cm, Width - 29cm.